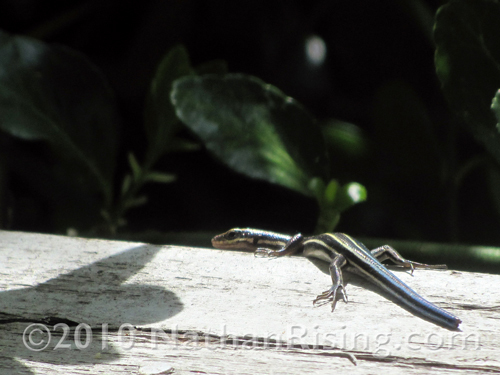 A lizard, minus a piece of its tail, sunbathes happily in our front yard. This entry was posted by Jen on April 19, 2010 at 8:53 pm, and is filed under Randomness. Follow any responses to this post through RSS 2.0.You can skip to the end and leave a response. Pinging is currently not allowed.